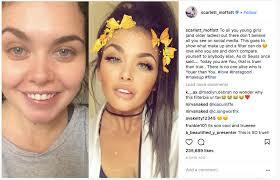 The Selfie filters are getting widely used and are leading people to seek surgery so they can become that ‘filtered’ image of themselves. Maybe the filter changes the shape of your nose that you have hated for ever or makes you look slimmer. In real life this can become a huge problem, encouraging individuals to sit in a certain position in real life so their real flaws are hidden. The selfie becomes more important than the actual person. One cosmetic doctor called Tijion Esho, coined the phrase “Snapchat dysmorphia”. He noticed that people no longer brought in pictures of celebrities that they wanted to emulate but their own filtered selfies of themselves. 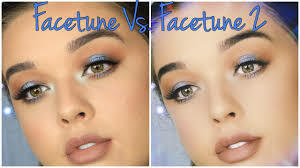 The app used on Snapchat is called Facetune, creating huge eyes and perfect skin. Another doctor spoke of an individual coming to see him asking to look like her filtered image as when potential dates met her, they exclaimed that she didn’t look like her online profile. He told her no. The rise of fillers has been promoted by celebrities. Fillers are less invasive but also comes with risks. There are little regulations and no minimum age for these treatments. Many surgeons refuse to treat people under 20 but many more do not. Once one instant fixer is ‘fixed’ the individual can become tempted to try another one, further distorting their real facial features. But what is the individual correcting the image or the reality? Superdrug offer Botox in your lunchtime and at a cheap price. Recently they agreed to introduce mental health screening for people using the service. De Neelam Vashi wrote about BDD being linked to selfie dysmorphia says there needs to be further studies. The onset of BDD starts in adolescence, the general rule of diagnosis being you think about your appearance for more than an hour a day. People with BDD take selfies because they believe they are hideous. Danny Bowman in 2014 was the first selfie addict reported in the UK spending hours in front of the mirror and dropping out of school to start taking hundreds of selfies a day. Trying to kill himself in the end, he was finally diagnosed with BDD and was restricted using his phone. Now he campaigns on issues relating to mental health and positive body images. He is concerned about the impact of Instagram with friends posting facetuned pictures of themselves. “It has become such a normal thing that people don’t see what they’re doing as abnormal’.